Bryan Fuller has dropped out as showrunner of CBS’ Star Trek: Discovery because of the press of production responsibilities on two other shows reports Variety. However, he will remain involved as executive producer. The decision was made late last week to hand the day-to-day showrunning reins to “Star Trek” exec producers Gretchen Berg and Aaron Harberts as “Discovery” gears up for the start of filming next month and a May 2017 premiere date. Fuller, who will remain an executive producer, will still be involved in breaking stories, and the show will continue to follow his vision for the universe that this latest “Trek” series will inhabit. 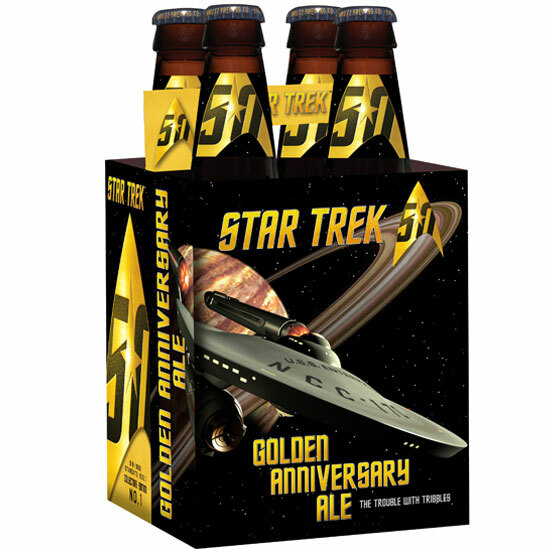 CBS Television Studios and Fuller had strained relations over the progress of production on Star Trek. …Fuller is also juggling the final weeks of shooting and post-production duties on Starz’s upcoming drama “American Gods” and prepping a reboot of “Amazing Stories” for NBC. Fuller has penned the first two scripts for “Discovery” and has hammered out the broader story arc and mythology for the new “Trek” realm. But it became clear that he couldn’t devote the amount of time needed for “Discovery” to make its premiere date and with production scheduled to start in Toronto next month. CBS had already pushed Star Trek’s premiere from January to May to accommodate writing and the production of visual effects. American Gods brought its “dream team” and cast to the San Diego Comic-Con. The teaser trailer was shown to fans at SDCC. American Gods will premiere on Starz in January 2017. (1) DOC MARTIN. Texas A&M will give George R.R. Martin an honorary degree reports the Houston Chronicle. Texas A&M University is set to give “Game of Thrones” author George R.R. Martin the latest link in his maester’s chain this week, as the school offers up an honorary degree to the author. Martin has a long history with A&M, which has been home to his writings since long before his books were picked up by HBO. Martin, who calls himself a pack rat, regularly sends copies of just about everything he’s written, produced or been given, from games and calendars based on the series to replica swords and war hammers, to Texas A&M University’s Cushing Memorial Library and Archives. The library boasts a world-renowned sci-fi and fantasy collection and Martin’s works are its crown jewel. Martin last year gave A&M a first-edition copy of “The Hobbit,” saying at the time that the Cushing library has one of the best science fiction and fantasy collections in the nation. The author acknowledged that A&M — “a place where people shout ‘yeehaw’ a lot, and of course lately (was) known for Johnny Football” — might seem like a strange place for such a collection. (2) THE MEDIUM IS THE MIXED MESSAGE. Variety reports Hannibal creator Bryan Fuller has been named showrunner and co-creator of CBS’ new Star Trek series. Who suspected Hannibal would be the proving grounds for the next executive at the helm of the Trek franchise? The new series is set to bow on CBS in January 2017, then move to CBS’ All Access digital subscription service. It will be the first original series to launch on a broadcast network but air primarily on an SVOD service. (3) WHO COUNTS. The Den of Geek tells us Steven Moffat has confirmed the length of the runs for the next seasons of his two BBC shows. Speaking after receiving his OBE the other day, Steven Moffat confirmed that Doctor Who series 10 will have 13 episodes. And Sherlock series 4 will have three episodes. (4) HMM. Anthony at the Castalia House Blog puts his finger on a problem with the Potterverse in “So You Made It Into Hufflepuff”. Hufflepuff is noteworthy in the Harry Potter series for being supremely un-noteworthy (“A Very Potter Musical” famously lampshades this after the end of its opening number “Gotta Get Back to Hogwarts” with the immortal line “What the hell is a Hufflepuff?”). The Hufflepuff we know the best is Cedric Diggory. Diggory is a fine character, but he probably doesn’t even rank in the series’ top twenty most interesting. Even in “Goblet of Fire” we just don’t learn that much about him, except that he’s apparently an honorable man, a hard worker, and a capable wizard. Besides that – nothing. I could never figure out what Hermione was doing in Gryffindor when she was an obvious Ravensclaw. I mean, being intelligent and studious to the point of being annoying about it was the primary aspect of her personality. 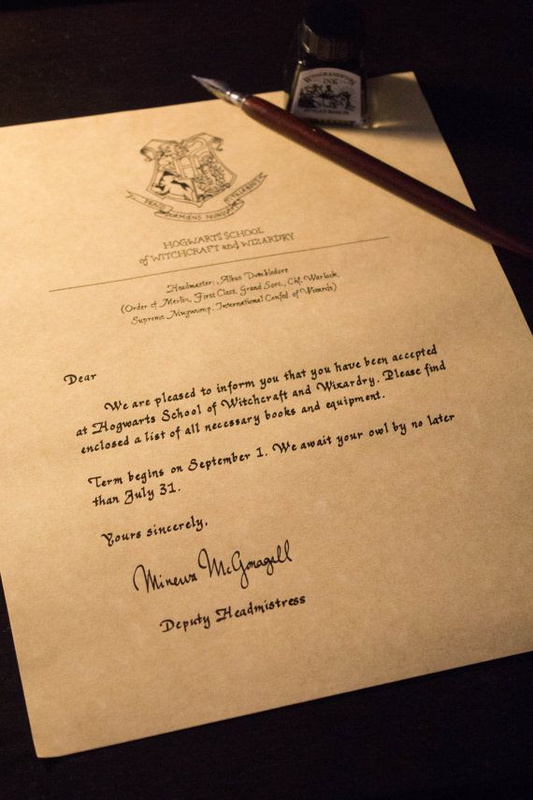 For now though, it seems that J.K. wants to take us back to basics. Over the weekend an official Sorting Hat quiz went live on Pottermore — and unlike the numerous ones you’ve probably taken over the years, this is the real deal because it was developed by the author herself. The quiz determines whether you’re in Gryffindor, Slytherin, Hufflepuff, or Ravenclaw by asking you a series of personality questions and by placing you in a number of unique scenarios. ….Naturally, most Potter fans jumped at the chance to try out this new sorting utility — yet instead of uncontrollable excitement, many were overcome with a deep sense of despair. Indeed, when the quiz dropped, the Internet became awash with staunch criticism. Why? Well, because most people were mad they didn’t get into the house they felt they deserved to be in. (6) A SECOND OPINION. Or if you think it’s too much bother to register at Pottermore, you can always take this quickie quiz at Moviepilot — “The Ultimate Harry Potter Sorting Quiz Will Prove Which Hogwarts House You Belong In”. I took it and was identified as a Gryffindor. See what a reliable quiz this is? (7) GERSON OBIT. Scriptwriter Daniel Gerson died February 6, age 49, of brain cancer. Genre credits include Monsters, Inc., Monsters University, and Big Hero 6. (8) COOPER OBIT. Henry S.F. Cooper Jr., the author of eight books and a writer for The New Yorker, died January 31 at the age of 82. Mr. Cooper celebrated scientific achievement, addressed scientific failure and demystified what was behind both. The flare was caused by a cloud of frozen oxygen — a “tank failure,” as NASA engineers delicately described it — that would cripple the service module and jeopardize the crew’s return to Earth. The story was told in the 1995 film “Apollo 13,” starring Tom Hanks. He was a descendant of famed author James Fenimore Cooper. (10) VISIT OTHER WORLDS. 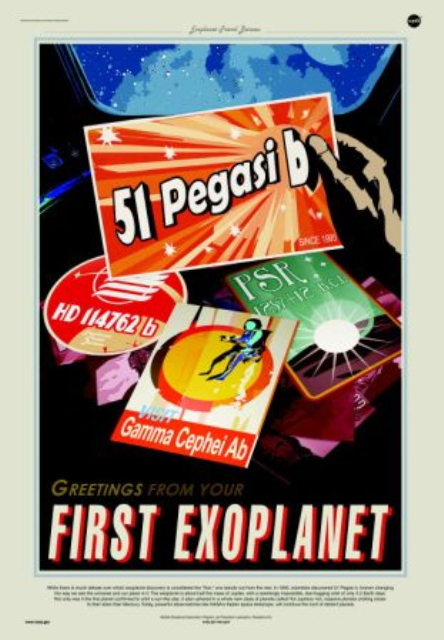 NASA has issued a new series of space tourism posters. Each new poster mixes a bit of that reality with an optimistic take on what exploring our solar system might actually look like someday. The poster for Venus calls for visitors to come see the “Cloud 9 Observatory,” which isn’t far off from an idea that’s been thrown around at NASA. The poster for Europa advertises the ability to see underwater life — something that doesn’t feel so far-fetched considering the moon is home to a global subsurface ocean. (11) RABID PUPPIES. 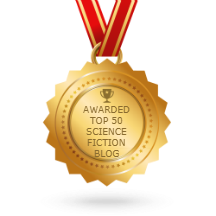 Vox Day has advanced to Rabid Puppies 2016: Best Editor (short-form), and in this category has only one name for his slate, Jerry Pournelle, editor of There Will Be War, Vol. X. (12) NUMEROUS SUGGESTIONS. George R.R. Martin gave his recommendations for Short Form in “A Rocket For The Editor, Part Two”. He covers quite a few names. Martin also emphasizes that he feels there is an equivalency between last year’s slate makers and advocates for No Award in the Best Editor (Short Form) category. All that being said… the slates, by whatever means, did throw up some legitimate Hugo-worthy nominees in this category last year, though not as many as in Long Form. One of those stood well above the others, IMNSHO. The Hugo really should have gone to MIKE RESNICK. Resnick has a long and distinguished career as an anthologist, one stretching back decades, and while he has plenty of rockets on his mantle at home, and even more crashed upside down rockets on the shirts he wears at worldcon, he had never been recognized for his work as an editor before. In addition, Resnick had founded a new SF magazine, GALAXY’S EDGE; in an age when the older magazines are struggling just to keep going, starting up a new one is a bold act (maybe a little insane) that deserves applause. But even more than that, Resnick has been a mentor to generations of new young writers, featuring them in his anthologies and now his magazine, advising them, nurturing them, teaching them, even collaborating with them. His “writer babies,” I have heard them called. In a way, Resnick is a one-man Clarion. Finding and nurturing new talent is one of an editor’s most important tasks, and Resnick has been doing it, and doing it well, for decades. He got my Hugo vote. He got a lot of other Hugo votes as well. But not enough to win. As with Long Form, this category went to No Award. The work that the Sad and Rabid Puppies began to wreck this Hugo category was completed by Steve Davidson of AMAZING, Deirdre Saoirse Moan, and the rest of the Nuclear Fans. Resnick was never part of the slates, fwiw. He took no part in the Puppy Wars on either side, preferring to stay above the fray. And he did deserve a Hugo. But guilt by association prevailed, and he was voted down with the rest. A real pity. Now there are Nuclear Fans, to go along with the other names people get called? And, in the circumstances, a very unfortunate misspelling of Moen’s name? (13) SHATNER ON NIMOY. 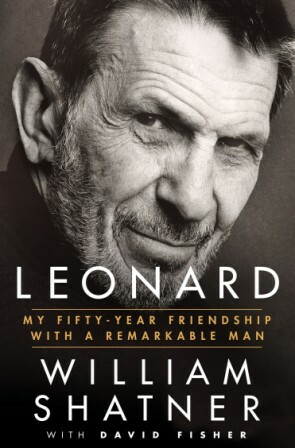 Jen Chaney reviews Leonard: My Fifty-Year Friendship With A Remarkable Man by William Shatner (with David Fisher) in the Washington Post. That revelation, both personal and laden with questions, is very much in keeping with the overall tone of Shatner’s book. At times, the actor recounts his connection to Nimoy with great candor and reverence, particularly when he discusses how that bond solidified after the death of Shatner’s third wife, Nerine Kidd, who drowned in the couple’s pool in 1999. But readers may wish they got a little more fly-on-the-wall perspective on the lengthy friendship born in a place where few are: on the set of an iconic sci-fi TV series. As Shatner says at one point, “When I think about Leonard, my memories are emotional more than specific.” His memories often read that way, too. (14) TREK PARODY ON STAGE. 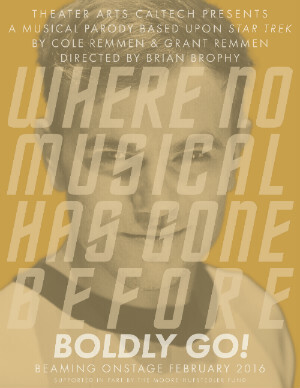 Boldly Go!, a musical parody based upon Star Trek, opens February 26 at Caltech Theater in Pasadena, CA. Boldly Go! follows the intrepid crew of the Starship Enterprise, along with some new characters, on an exciting and hilarious adventure. Assumptions will be confronted, paradigms challenged, alliances tested, and new contacts made – whether for good or ill as yet to be seen. And it’s all set to a side-splitting tour de force of musical mayhem! While having fun with the sometimes farcical aspects of science fiction and parodying Star Trek, this new show also satirizes the musical theater genre. Boldly Go! is written by brothers Cole Remmen (University of Minnesota Theatre Arts Senior) and Grant Remmen (Caltech theoretical physics graduate student). The Caltech world premiere, featuring a talented cast from the Caltech and Jet Propulsion Lab communities, is being directed by Theater Arts Caltech director Brian Brophy (Star Trek TNG; Shawshank Redemption; PhD Comics 2). A series of short videos about the production can be viewed at the site. Watched this Simon Pegg movie yesterday. Even in period costume most of the actors were recognizable…except one who looked very familiar but I could not put my finger on who he was. The ending credits identified him as Ray Harryhausen…a pleasant surprise. Harryhausen can be seen in the closing credits at 1:03.